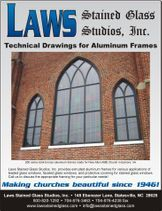 Along with their stained glass, Laws produces extruded aluminum frames in various shapes and designs. These frames are designed to complement the artwork while giving it that needed structure. Three colors of frame are offered: white, clear, and bronze. The stops are attached to frame with zinc-coated screws. 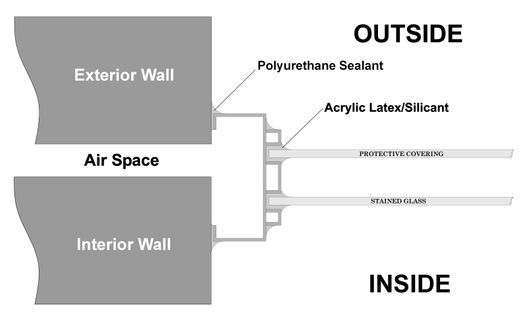 The stops can be adjusted to accommodate different thicknesses of protective covering like 1/4" acrylic Lucite or 1" thick insulated glass unit. 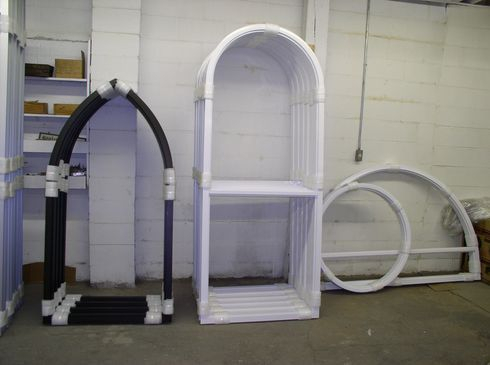 If you are building a new construction such as a sanctuary, we strongly recommend having us make your frames especially if they have a round or gothic top. 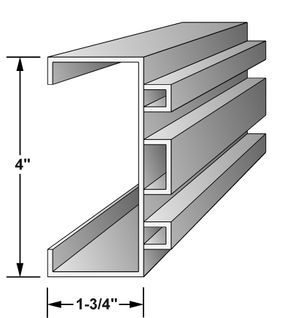 We can install the frames into the stud opening (or we can ship them to the contractor to install). Your contractor can cover the frames with plastic (polyurethane) to protect them while the brick masons lay the brick. (Or your contractor can use the frame to make a wood plywood template for the masons to lay the brick against.) When you are ready for the protective covering and stained glass windows, then we can come and install them. 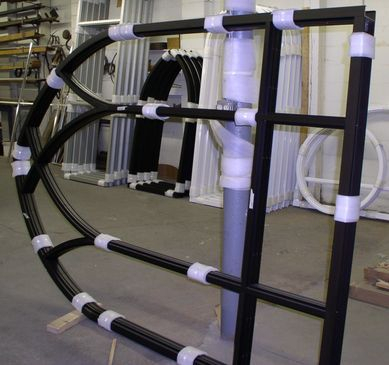 If we make your frames, then we can begin on the stained glass windows in a timely manner. Leaded windows normally take from 90-120 days to manufacture (this time frame depends on the type of glass and the number of jobs ahead of it). If someone else makes the frames, then we can not begin on the windows until we measure their frames. Many times, these frames are not installed until the end of the construction, when the contractor is about finished, and we have not even begun.